In 1981, founder, Barney Welch decided to drop off some fish at the Missionaries of Charity in the South Bronx where his niece had begun her career as a nun with Mother Teresa. The nun who answered the door that night said “Thank God you’re here. We’ve been praying for food all day.” Barney’s life changed, he felt like he was raised right off the ground. He realized what waste there was in this country. He was the answer to their prayers for food, and this spurred him on. He became known by all as “Uncle Barney”. 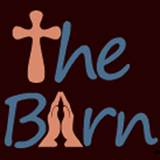 Locally, The Barn for the Poorest of the Poor helps supply food to those in need within Monmouth County. Volunteers deliver food to Mother Teresa's Soup Kitchen, Franciscans of the Renewal as well as other local charities.